I apologise and beg your forgiveness for ignoring my blog this week! Would love to have a wonderful excuse to share with you - I don't! But there was sunshine - hence the pretty butterfly pic snapped in the back garden this week - so I've tried to make the most of it and catch up with a bit of garden pottering and weed control! But that doesn't mean there hasn't been any bookish goings on this week!! There has been plenty!! And more bookshelf space is required!! I'm sure one week I'll be able to say there has been no additions to my 'book hoarding' but you're going to have to wait a while for it to actually happen!! 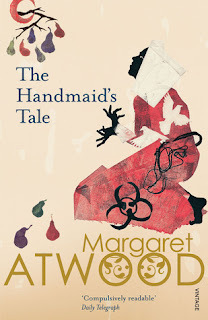 Click on the book title for my GoodReads review! For over a century of turmoil, upheaval and scandal, Great Britain was a Georgian land. From the day the German-speaking George I stepped off the boat from Hanover, to the night that George IV, bloated and diseased, breathed his last at Windsor, the four kings had presided over a changing nation. 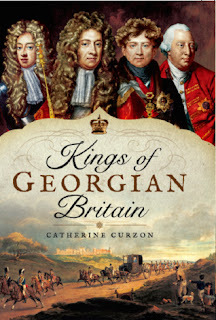 Kings Georgian Britain offers a fresh perspective on the lives of the four Georges and the events that shaped their characters and reigns. From love affairs to family feuds, political wrangling and beyond, it is a chance to peer behind the pomp and follow these iconic figures from cradle to grave. As their very different lives will show, being a king isn't always about grand parties and jaw-dropping jewels, and sometimes following in a father's footsteps can be the hardest job around. Take a step back in time and meet the wives, mistresses, friends and foes of these remarkable kings who shaped the nation, and find out what really went on behind closed palace doors. Whether dodging assassins, marrying for money, digging up their ancestors or sparking domestic disputes that echoed down the generations, the Georgian kings of Great Britain were never short on drama. The last Aturan King is dying, and as his strength fades so does his hold on sa and ka. Control of this power is a deadly lure; the Emperor stirs in his Forbidden City to the East, while deep in the Seared Lands, the whispering voices of Eth bring secret death. Eight men and women take their first steps along the paths to war, barely realizing that their world will soon face a much greater threat; at the heart of the world, the Dragon stirs in her sleep. A warrior would become Queen, a Queen would become a monster, and a young boy plays his bird-skull flute to keep the shadows of death at bay. It has been a good week for reading!! I need to stop being so scared of 'chunky' fantasy books and dive right in instead of leaving them on my shelves in the hope that they'll read themselves LOL!! The postman hasn't been that overworked this week - thankfully - and I've also managed to avoid the lure of the bookshops... although saying that there may currently be a couple (or more!) books on their way that I may have treated myself to online... well it is my birthday month and that's my excuse and I'm sticking to it!! Received a copy of this from the lovely people at Readers First and if you haven't visited their site then please do! Lots of exciting new book releases for you to comment on and receive in the post! I've seen this book around quite a bit online and it has caught my interest so I can't wait to start reading it! 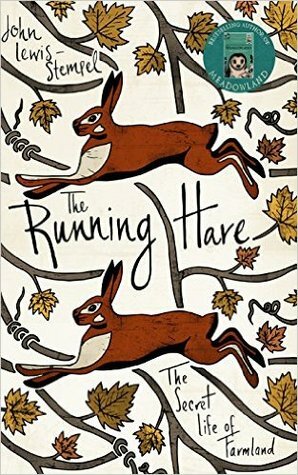 And then I was lucky enough to win this copy of The Running Hare via a tweet. 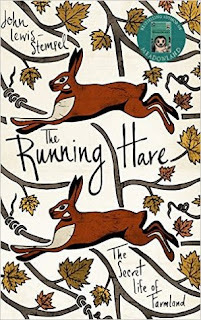 I'm determined to read more non-fiction this year and am so looking forward to learning more of the ways of the countryside and nature and how we can help to stop the world destroying so many habitats. Two on the reading pile again this week! And both quite different!! On the frozen fields of Romney Marsh stands New Hall; silent, lifeless, deserted. In its grounds lies an unexpected Christmas offering: a corpse, frozen into the ice of a horse pond. It falls to the Reverend Hardcastle, justice of the peace in St Mary in the Marsh, to investigate. But with the victim's identity unknown, no murder weapon and no known motive, it seems like an impossible task. 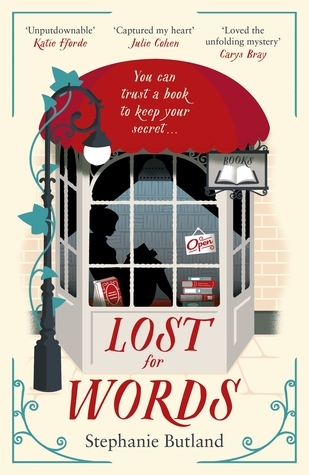 Working along with his trusted friend, Amelia Chaytor, and new arrival Captain Edward Austen, Hardcastle soon discovers there is more to the mystery than there first appeared. With the arrival of an American family torn apart by war and desperate to reclaim their ancestral home, a French spy returning to the scene of his crimes, ancient loyalties and new vengeance combine to make Hardcastle and Mrs Chaytor's attempts to discover the secret of New Hall all the more dangerous. 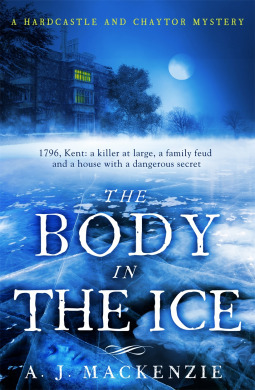 The Body in the Ice, with its unique cast of characters, captivating amateur sleuths and a bitter family feud at its heart, is a twisting tale that vividly brings to life eighteenth-century Kent and draws readers into its pages. So there we have it! Any goodies on your reading pile at the moment? Or any old 'classics' or non-fiction books that you couldn't put down and think I should read! Lovely to hear your recommendations!